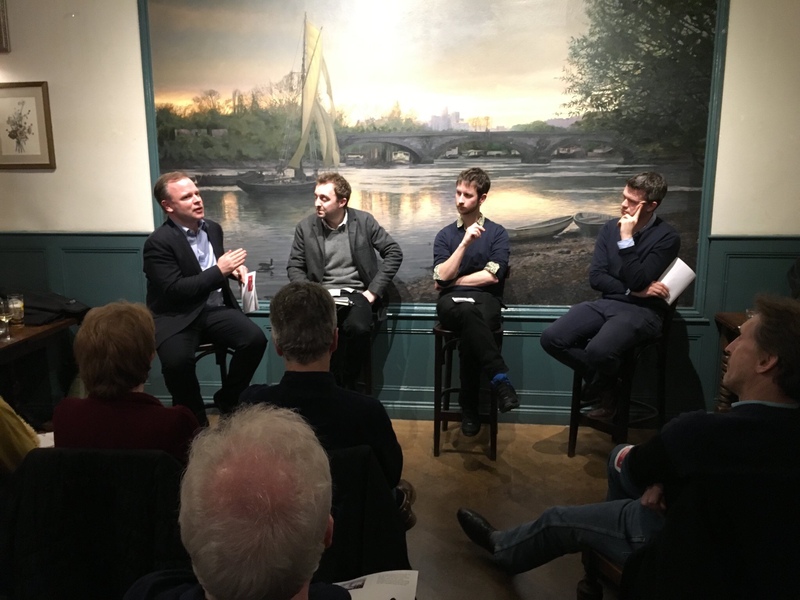 Last night I spoke at an event called Truth and Politics, hosted by The Chiswick Calendar, on a panel with former No.10 director of communication for David Cameron Sir Craig Oliver, BBC broadcast journalist Greg Dawson and Demos researcher John Smith. Here’s a summary of the argument I made about why it’s time we put in place a regulatory system for election advertising. Political organisations in the UK are free to make wild and unsubstantiated claims in their election advertising. There’s nowhere to complain to if you come across dishonest election material and there isn’t a body with the power to remove political advertising. If you were previously unaware of this – or are sceptical about this assertion – you’re not alone. A recent YouGov survey commissioned by the Coalition for Reform in Political Advertising shows that 51% of people say that they “don’t know” if there is regulation of political advertising and 35% of people (wrongly) think the rules are the same as for commercial advertising. Promotions for chocolate bars are subject to far greater regulation than election advertisements. The last time the Electoral Commission consulted on the issue was in 2003 – the year before Facebook was founded – and the regulations are woefully out of date. This is hugely problematic if we want to protect our democracy against current and future threats relating to disinformation attacks and fake news. When false claims are made during election campaigns it undermines the moral authority of the result, which reduces citizens’ acceptance of democratic decisions. Lies from one political group muddy the waters for all campaigns. That Bus has aroused an arms race mentality in election campaigning akin to doping in sport: campaigners see other groups getting away with cheating and so feel increasingly justified in abandoning moral codes in pursuit of victory. Add to this the fact that social media rewards divisive behaviour – nothing spreads online like outrage – and we’re very likely to see increasingly outlandish claims. The need to regulate political advertising is a new one. If objectively incorrect claims were made in the pre-digital era, journalists in major news outlets would see them and hold the party in question to account. But the days of the occasional billboard every 5 years are gone. There are now more groups making more political ads than ever before. There isn’t a single database of all the ads that are running, so it’s impossible for any watchdogs or journalists to keep track of all the claims being made. Even if they could keep up, the media landscape is so fragmented that journalistic rebuttals would be extremely unlikely to reach all those exposed to the false claims. Thanks to the echo–chamber that is social media, and an increasingly polarised electorate, once a claim is made by one side it becomes “true”, even if it isn’t. We are calling for factual claims – things which can be objectively proven one way or another – to be substantiated before they’re used in political advertising. If campaigners want to tell voters that police numbers are in decline, they should be able to prove that to be the case before communicating it in paid-for media space. This is not impractical or overly expensive to do; every single TV advertisement that you see has been through checks of this nature. If political campaigns want to make promises about the future, there should be no need for substantiation: the British public are more than capable of judging whether or not such pledges are to be believed. There’s plenty of things on the horizon that should give us cause for concern and reason to build an infrastructure to deal with new issues relating to political content. ‘Deep fake’ video manipulation and voice simulation technologies are getting more realistic at the same time as they become cheaper and easier to use. Should campaigns be able use fake videos of opponents in their advertising? Artificial intelligence will soon be able to write individual advertisements for each voter based on their data history. It’s the next logical step of micro-targeting. Are we happy with machines making us political promises? Without regulation, murky donations and fake news soon begin to look quite quaint.